Part of the Church of Scotland we are a group of Christians following in the dynamic and forward looking tradition of the Free Church of Scotland created out of the Disruption of 1843. 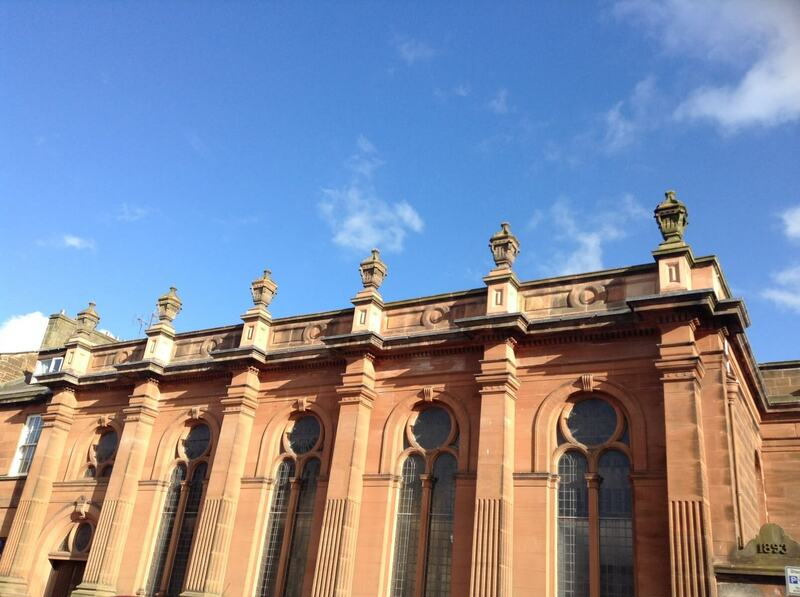 Click here for more information on the fascinating history of St George’s. 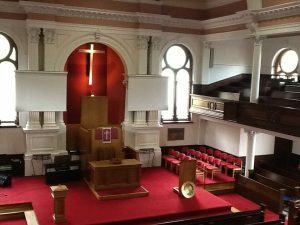 We seek to do our best to proclaim the Gospel of Jesus Christ in word and in action and worship together each week in our church building which dates from 1843 – 44 and was remodelled in 1892-93. Although the main structure has remained unaltered from that date, many internal modifications have taken place, all necessary to reflect the ever changing needs of the Church in a changing community. The main doors of the church lead into a large foyer which is not only used for meeting informally, but also contains notice boards and an information desk which serve to keep everyone informed of the work of the church within the community. The worship area of the church was remodelled in the 1960s and is now light and spacious. It is equipped with sound and visual equipment and is used for worship and for meetings. On street parking is available around the church location and the church is accessible at street level. Disabled toilet facilities are also available. In addition to the main rooms there is the church office which is used on a daily basis to manage and administer the day to day work of the church. 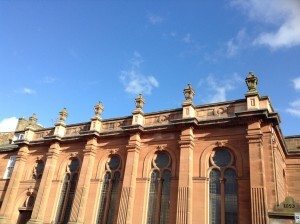 St. George’s Church Hall is situated in George Street, directly opposite the Church. It is a valuable resource for the church and it is our desire that it is shared with the wider community. To this end it is available for let to commercial organisations and to charities. It was extensively refurbished in 2009 when disabled access and improved lighting for people who are visually impaired was added. The main hall has a stage which can be partitioned off and used as a separate meeting room. There is a second meeting room, which is adjacent to the Kitchen and is used for meetings and gatherings. The kitchen is used to provide hospitality at various functions throughout the year. The hall is very well used by church groups and also by other community organisations. We work hard to provide, support and encourage participation in a range of pursuits in St. George’s Church Hall, whether organised by the church or through external lets to community groups.